Farm workers are the key to the U.S. food system, and although our population relies on their labor to put food on the table, these workers lack basic rights, face exploitation and live in fear of reporting abuses. While farm workers run the gamut of being U.S. citizens, legal permanent residents, seasonal laborers on special guest worker visas, or undocumented workers, most are affected by immigration status; it is estimated that at least 6 out of 10 of our country’s farm workers are undocumented (Southern Poverty Law Center). The vast majority of workers–78%, according to the most recent National Agricultural Workers Survey– is foreign-born and crossed a border to get here (NAWS, Farmworker Justice). This high percentage of foreign-born workers is nothing new. Throughout the history of the United States, people from other countries have been brought over to work in our fields. Often they come against their will. For instance, white laborers were brought over from Europe as indentured servants in the 1600s, and Africans worked in the fields after being forced onto slave ships from the 1600s to the 1800s. Historically, agricultural workers in the U.S. have been imported from other countries with vulnerable populations, have always been a disenfranchised group of workers, and have in general never had the right to vote. We can see this history of exploitative conditions in the events and policies that laid the groundwork for our broken agricultural system today. In many ways, undocumented farm workers today are forced to leave their countries, just as agricultural workers have been forced to do throughout history, coming to the United States looking for a livelihood that they cannot attain in their own country. 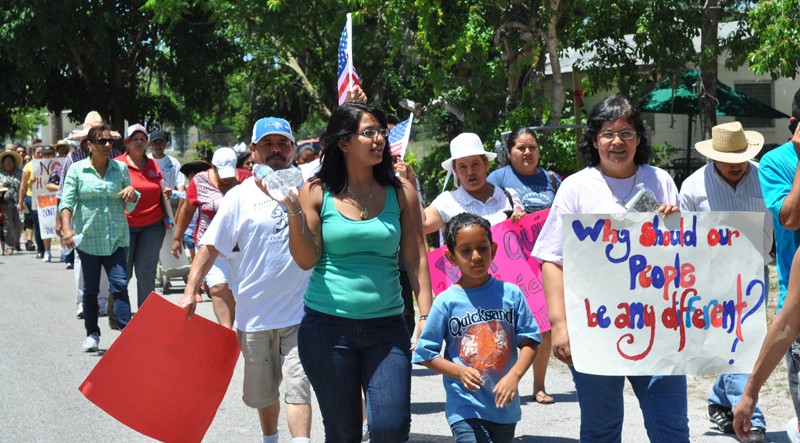 Many times, the reasons for their migration are directly related to U.S. policies. For example, when the United States and Mexico signed the North American Free Trade Agreement (NAFTA) in 1994, government-subsidized corn that was cheaply produced in the U.S. began to flood the market in Mexico. With this new influx of artificially under-priced corn, farmers in Mexico could no longer afford to make a living growing corn. Thus, millions were forced out of their jobs. Unable to find jobs in cities, they had no other option but to leave their families and move north to look for work. Farm workers migrate not necessarily by choice, but for survival and the hope of a better life. They endure harsh, extreme conditions to arrive in the United States. Once here, not only do undocumented farm workers face major challenges on the job, but thanks to our current anti-immigrant political climate, they are also marginalized and even criminalized in their own communities. 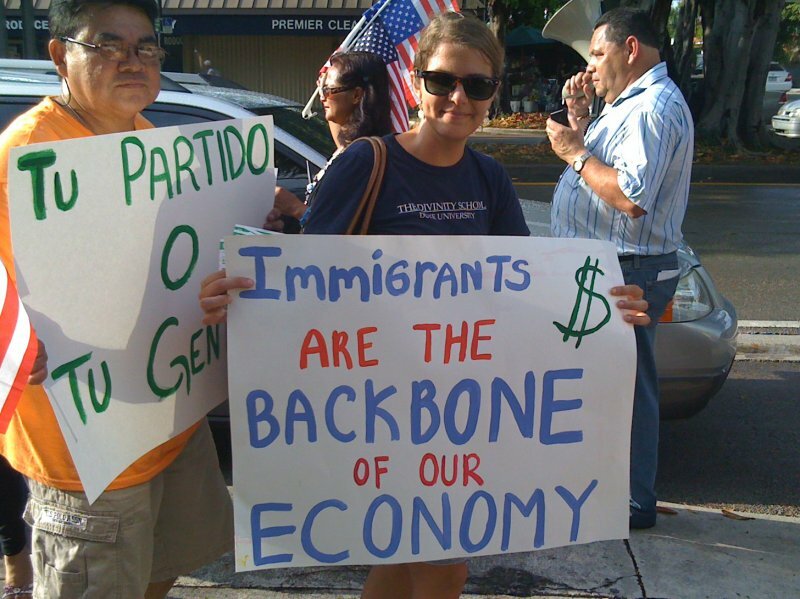 Ironically, immigrants in this “Nation of Immigrants” face great hostility, dealing with racism and discrimination. In most states, undocumented farm workers and immigrants lack basic rights such as obtaining a driver’s license or getting a higher education. Increasingly, anti-immigrant laws at the state level, such as the notorious SB1070 in Arizona and recent HB 56 in Alabama, are further marginalizing an already disenfranchised population. Many of these undocumented farm workers would like to change their immigration status and obtain citizenship, but a pathway to citizenship is almost impossible. 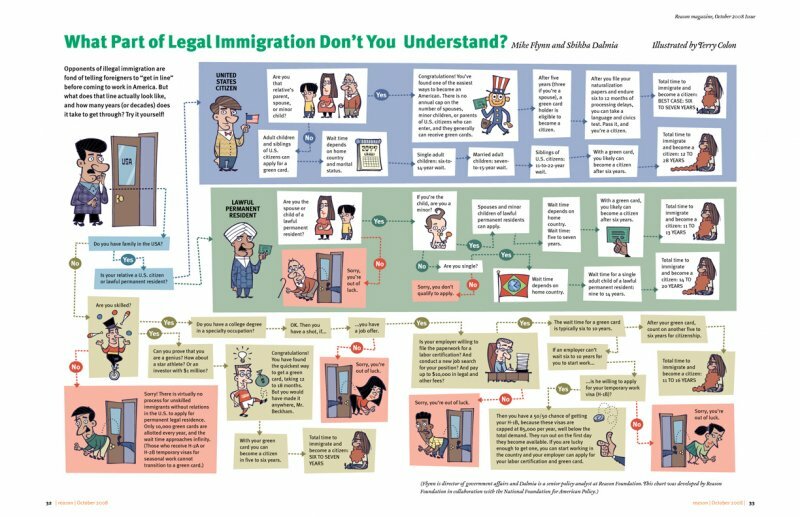 With the current structure of the legal system, it’s very difficult to become a legal U.S. resident even with a family member that’s a U.S. citizen or permanent legal resident. Without family in the U.S., it’s nearly impossible. The only ways to get permanent residency in the U.S. are to have an immediate family member sponsor you, to get an employment-based visa requiring high levels of education, to have a case of prosecution in your homeland that is recognized by the U.S. government, or to be a genius, extremely rich, or a star athlete or artist. This broken immigration system fails to recognize the people who work hard to put food on grocery store shelves, restaurants, and dinner tables across the country. Instead, they are marginalized and face abuse, detention, and deportation. If our broken immigration system isn’t fixed, farm workers will continue to be abused, our multi-billion dollar agricultural industry will lack a stable workforce, and the safety of the nation’s food supply will be in jeopardy. Ultimately, we need a comprehensive overhaul of our immigration system in order to bring justice to farm workers. This means changing the current system while also preventing the further criminalization of immigrants. Want to learn more? Check out the ‘Current Campaigns’ section of our website to learn about policy initiatives like AgJOBS and the DREAM Act that attempt to address some of these issues.